We are the bridge that connects entrepreneurs and business owners from their current financial priorities to their future retirement goals. From alternative investment strategies to custom retirement plan design we put you and your business at the center of all that we do. Our team of highly trained and credentialed retirement professionals will work with you to identify your retirement savings goals, employee benefit priorities, and tax reduction needs. We don’t believe in selling prepackaged retirement solutions or investments. Instead, we partner with you to develop strategies that address your specific needs and meet your future goals. We are certified consultants and administrators whose mission is to proactively support organizations by providing a comprehensive selection of retirement plan services, including: plan design, administration, compliance, government reporting and recordkeeping. We offer access to over 24,000 traditional and alternative investment options for widely used retirement plans (401k, 403b, Defined Benefit, SEP & SIMPLE IRAs, ROBS, ESOPS and other company sponsored plans). We also work collaboratively with service providers, including investment advisors, attorneys, CPAs, payroll and more. Our proven quality of service, with a Net Promoter Score nearly double the industry average, and our experienced support has provided employers with countless strategies for implementing business financing solutions, tax reduction strategies, and the opportunity to offer affordable retirement savings plans with flexible investment options for themselves, their investors, employees and their families. 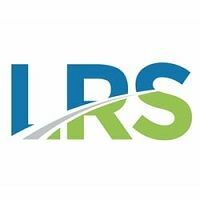 Leading Retirement Solutions is headquartered in Seattle, WA and manages retirement plans for clients in all 50 states.